Counting down the most popular blog posts from 2016--between trending on Pinterest, Facebook, Stumbleupon, and even having some of my ideas advertised by brands and sending me referral traffic, it has all contributed to these successful blog posts! Arguably, the only thing separating a blogger from a blogger-gone-entrepreneur all comes down to the numbers. When you're a blogger aspiring to make a living and turning your creativity and your craft into a small business, it's important to know and also react based upon your numbers. Looking at what kinds of content is being shared the most from your site, what Instagram posts get the most likes, and even which sorts of projects gain you the most revenue all contribute to the numbers game. This insight is invaluable to you and without it, you are blogging in the dark. 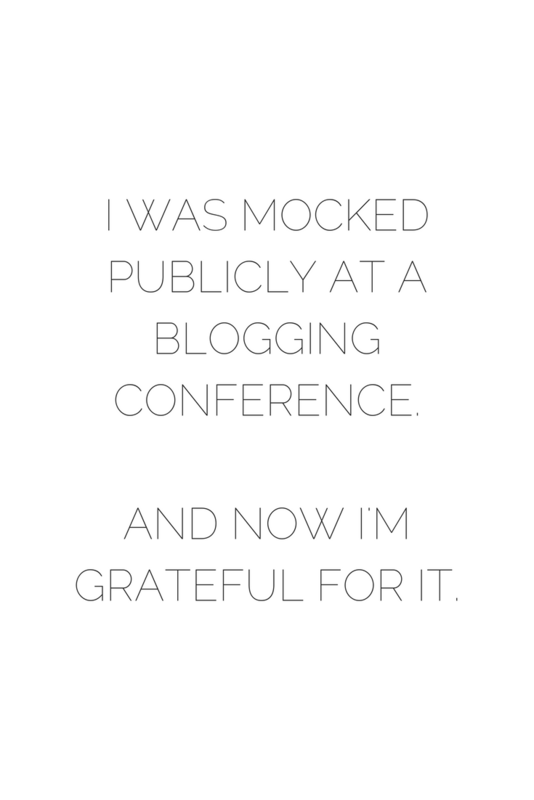 Almost 2 years ago, I attended my first blogging conference. In a banquet room filled with nearly hundreds of people, a fellow blogger made a presentation and began spelling out the dos and don'ts of blogging. With my head down as I was diligently taking notes, I heard my name on the microphone. Within seconds the flattery I felt from being recognized publicly crumbled into sheer embarrassment--this speaker called out my name as an example of what NOT to do. In front of everyone. Mortified and confused, I kept on with the conference until I could go home and process what had happened. It wasn't until months later that I really understood what my biggest takeaway from this interaction was--I was playing a numbers game by myself. And I was winning. Thankfully, I kept playing that numbers game against everyone's criticism and the memory of being mocked publicly. This numbers game I've played has landed me a full-time job for 2 years and many once-in-a-lifetime opportunities I could have never imagined without my blog. With only a few days left of 2016, I felt it was only right to take some time to stop and reflect on some of the successes from this past year, as well as talk about some of my numbers! 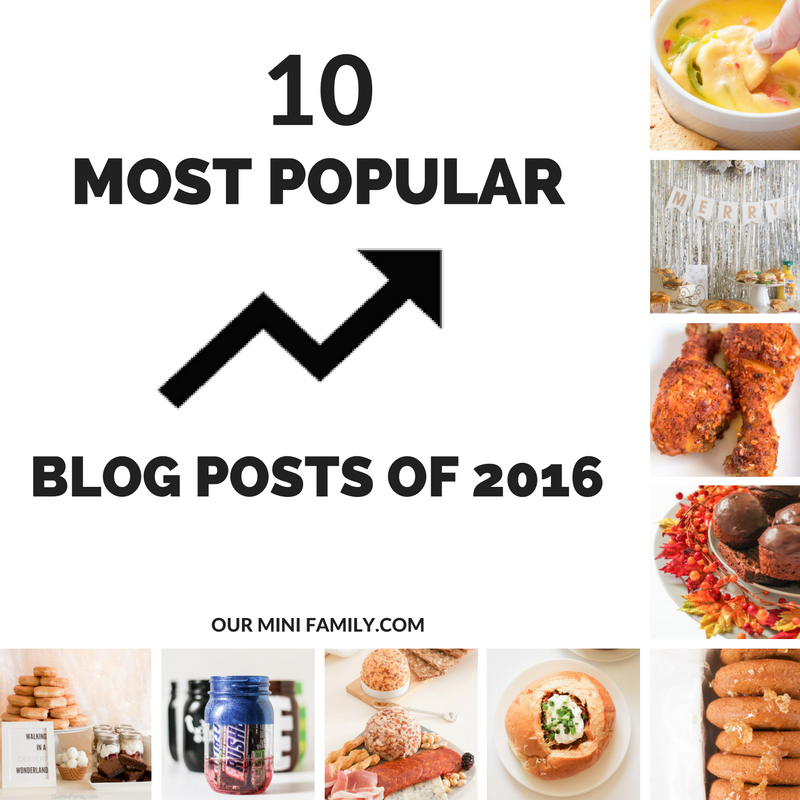 So without further adieu, below you'll find the top 10 most viewed, pinned, shared, saved posts from the Our Mini Family blog in 2016! 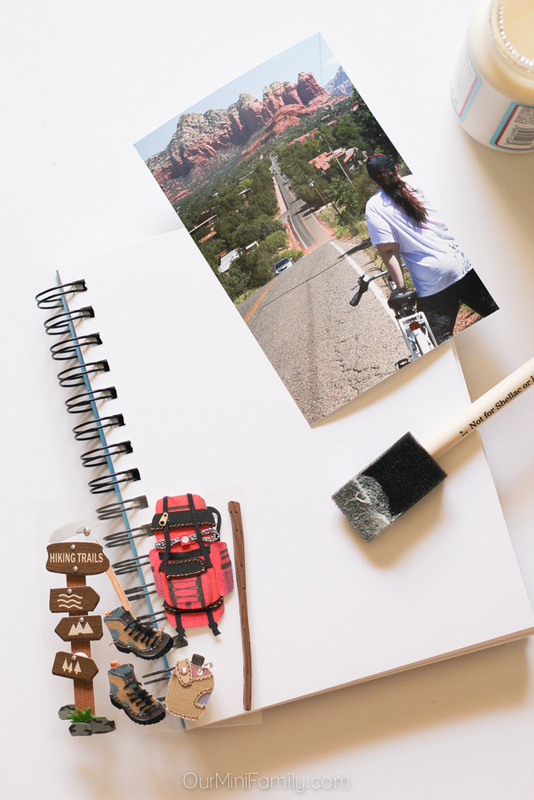 By far my most popular travel-related post to date, this DIY Travel Journal tutorial has become quite popular on travel boards on Pinterest gathering thousands of repins. Just after my trip to Alaska and then a road trip up to Sedona, I became inspired to begin cataloging some of my favorite photographs from various trips I've taken. This travel memory book has made a wonderful addition to my coffee table, and I know that I will fill it with even more photographs and memories in the year to come! Call it good timing or a stroke of good luck, but my charcuterie holiday party tutorial has gained thousands and thousands of unexpected page views since it went live on my site about a month ago. 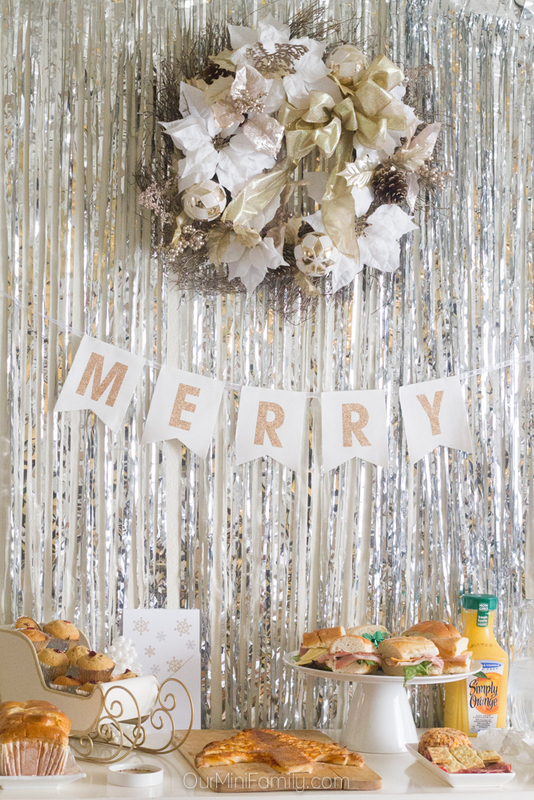 With most of my traffic coming from organic search results on both Pinterest and Google, I am confident that this holiday party tutorial post will become a seasonal favorite for the years to come! 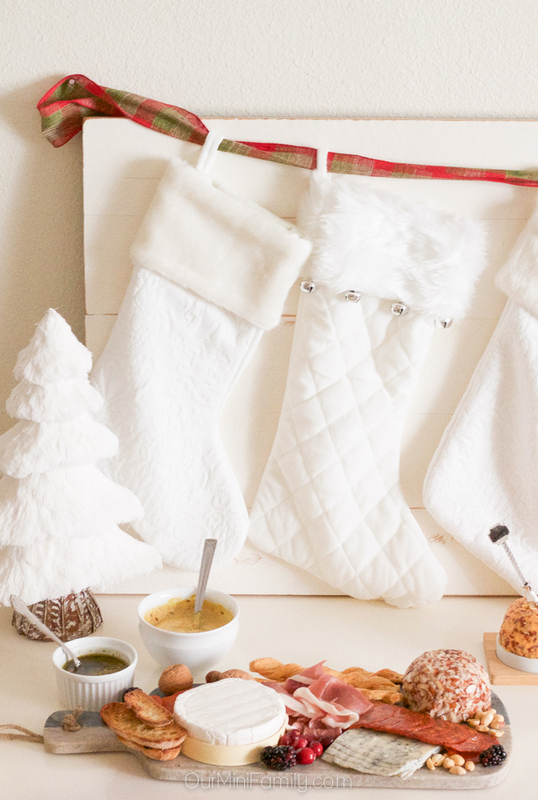 I have become very fortunate to develop an ongoing relationship with The Coca-Cola Company, and this last-minute Christmas Brunch tutorial I shared impressed the marketing team with The Coca-Cola Company enough that they offered to pay to promote my blog post on social media! Driving all of the traffic to my tutorial, featuring their sponsorship in collaboration with Simply Orange, I gained over 10,000 page views in just under a couple of days leading up to Christmas Day. Since their advertisement of my post has ended, I've continued to gain even more traffic and am excited to see if this tutorial will pick up speed again around next year's holiday season! 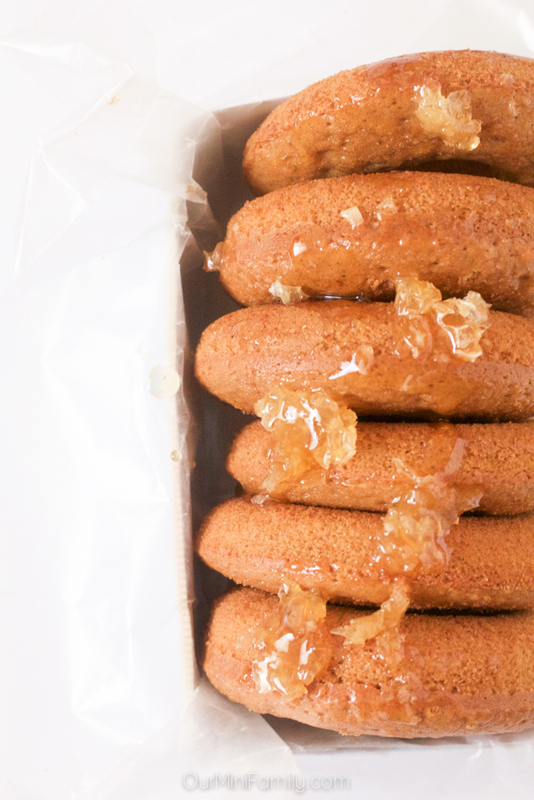 When I first shared my Honeycomb Donuts recipe, I was feeling panicked that I had not shared nearly enough holiday-inspired tutorials and recipes to join the Christmas blogger bandwagon. No doubt I was feeling unaccomplished at the time, and reluctantly I hoped that people would enjoy my post; just a few days after going live, I was notified from my client that my post would be promoted in a Facebook advertisement and then the views and shares started pouring in! 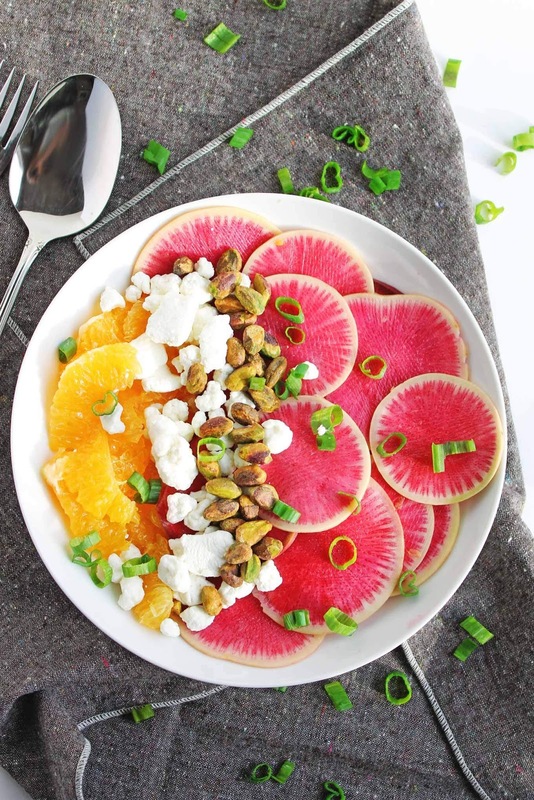 Currently, this recipe is the #1 most viewed blog post for this month, and it was shared less than 3 weeks ago--definitely a nice surprise to see one of my more recent posts as one of the most successful for the year. 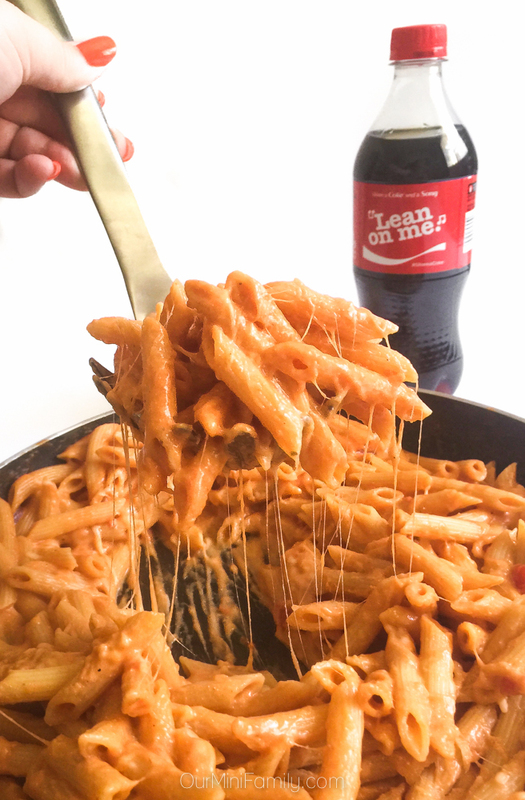 Another one of my campaigns I completed in collaboration with The Coca-Cola Company was my One Pan, Three Cheese Penne Pasta Dinner recipe post. Remembering my most popular posts from 2015, I wanted to continue sharing one pan dishes since I discovered they can be very popular amongst my readers. This comfort food recipe inspired many on both Pinterest and Facebook to share my post, and my recipe began getting good traction all throughout the summer (which was actually quite surprising, seeing that summer traditionally is not 'comfort food' season). 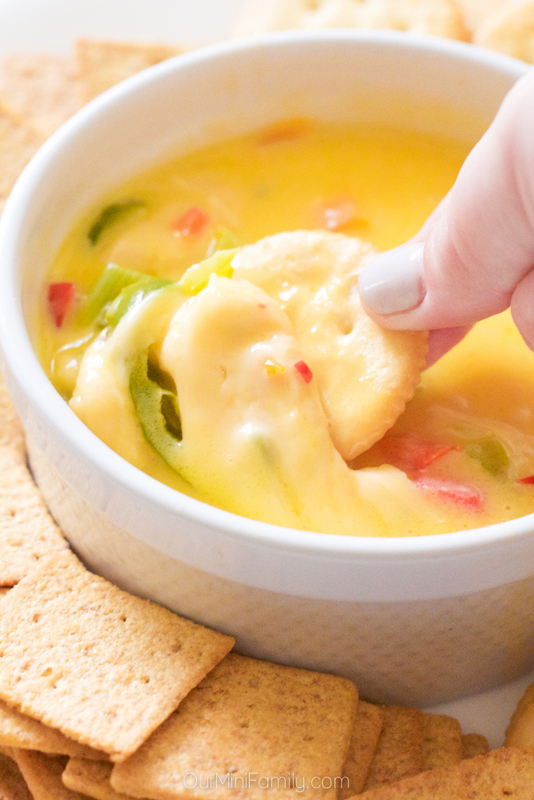 My second most successful game day-inspired recipe this year was my Spicy Queso Football Dip recipe. Another collaboration with The Coca-Cola Company helped kick start the popularity of this blog post, and it was well-received on both Facebook and Pinterest. 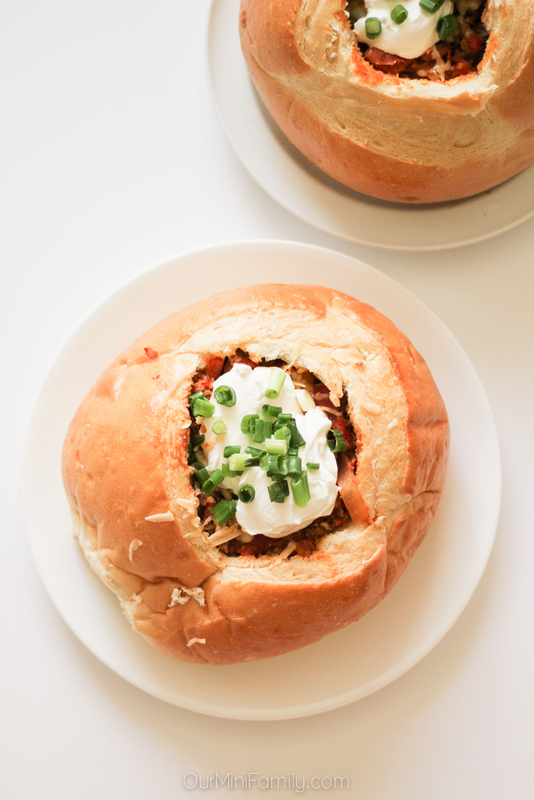 This Game Day Sourdough Chili Bowl post was no doubt my favorite football-inspired recipe of the year! My love of comfort food and game day chili came together for this ad campaign I completed for Nexium. Since I shared the recipe, I have received about a dozen emails from happy taste-testers who loved the recipe and wanted to thank me! There's nothing more flattering than being told you helped make someone's game day a success! 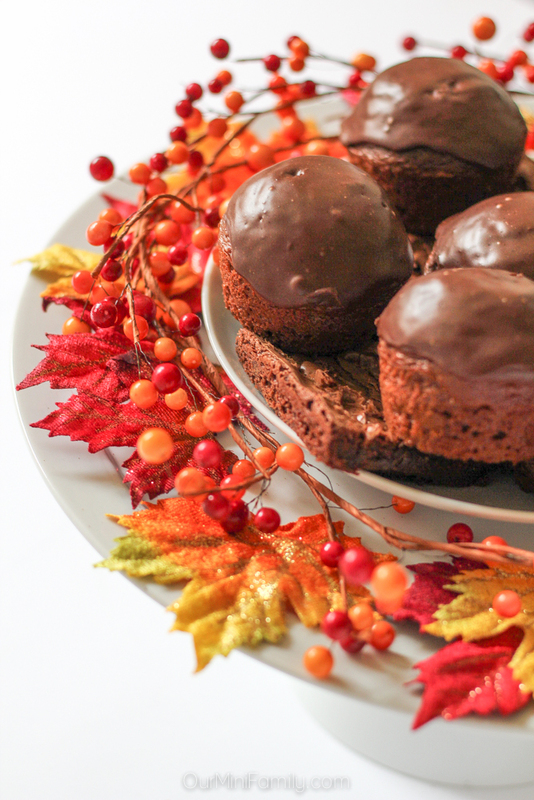 My second most popular DIY tutorial of the year was my Fall Party Cupcake Platter post! With just over 50,000 page views in its first month, this was the most trending post on the blog for the entirety of the fall. Simple and easy-to-create, this decorative dessert idea inspired many people to share my post on Facebook, which helped bring my blog post to the next level! 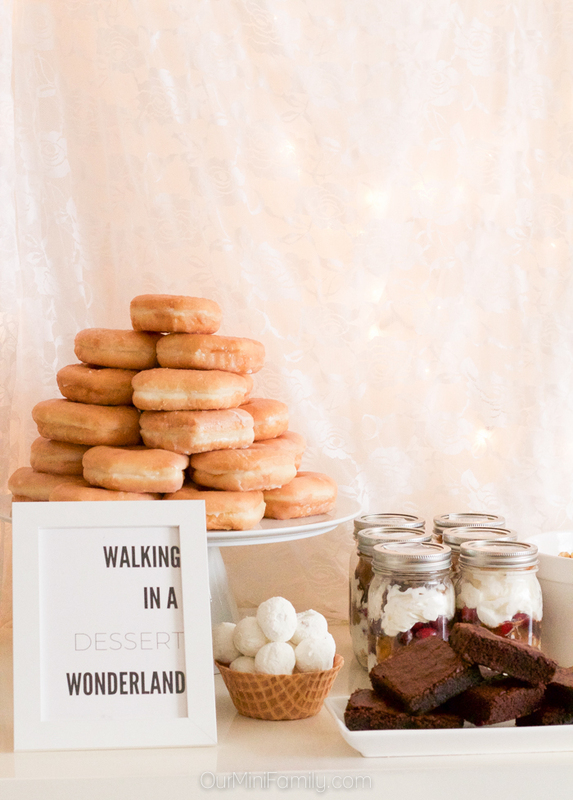 After almost 100,000 page views and thousands of shares on social media, this winter dessert bar party tutorial was my second most popular post of the year! This was hands down the most successful party tutorial of the year, and most definitely is my personal favorite of 2016! All of the details came together and when I was photographing everything I immediately knew it was special. 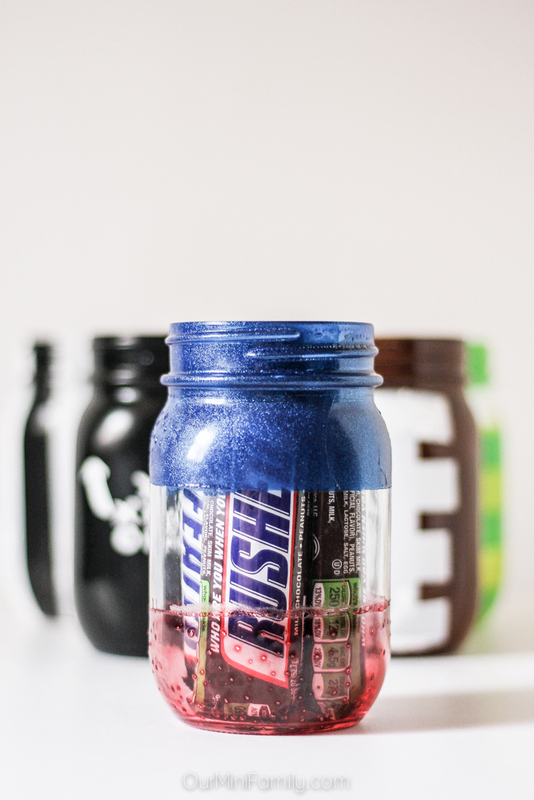 And the number one post of 2016 is...my football mason jar tutorials post! This was actually quite surprising to me, If I am being totally honest. 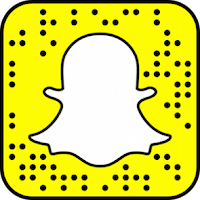 I mean, I knew it was popular when I shared it months ago, but I had no clue just how much traction it gained on the right social media accounts (which kept bringing in more regular page views). 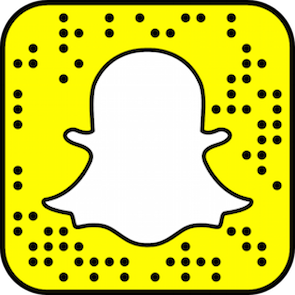 Interestingly enough, this post does not have all that many social shares. After doing some digging through the numbers, what I did find was that the accounts that did share my blog post have large followings which no doubt contributed to why it had such large exposure. 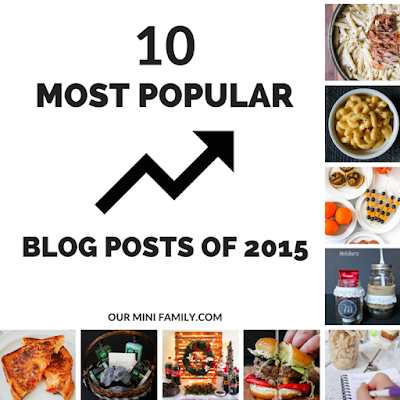 Let's travel back in time and see the best of 2015! The three cheese pasta looks amazing! Definitely pinning so I can make it later! WOW. Okay, I totally want to know who called you out and what conference this was so I know not to pay money to attend! Shame on them. Yeah it was more than uncomfortable the rest of the conference, but it wasn't the entire conference's fault. Definitely the fault on the speaker. I love looking back on posts like this.. and even though you are grateful NOW for what happened to you at that conference, I am still so sorry it happened at all! 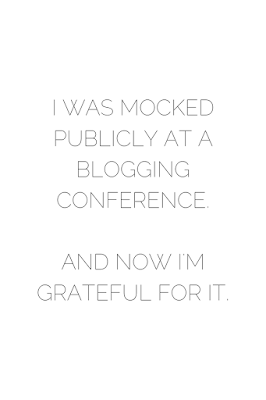 Whoa I cannot believe someone called you out publicly at a blogging conference! That is a definite DON'T as a blogger, so how ironic for her to do that! We're all about community and that's just wrong. 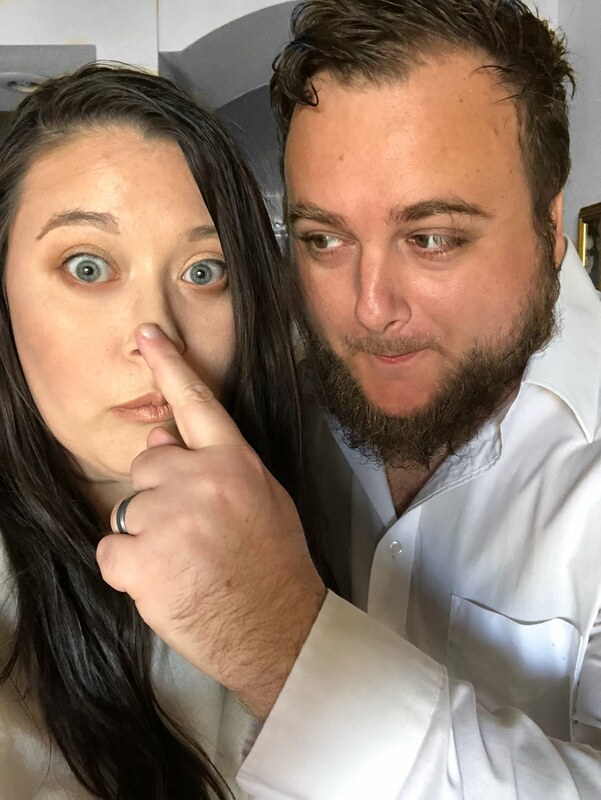 Anyway, it's fun to look at the posts that did well and your Christmas brunch photos are amazing! Yeah I couldn't believe it either! I agree about it being a community, and most of the time I believe that rings true! And thank you!